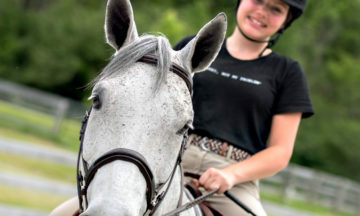 Thousands of riders compete in a variety of equestrian events across Ontario. Here’s where you can find a sanctioned competition near you. Ontario Equestrian works closely with the Provincial Discipline Associations which allow you to compete at sanctioned competitions, across the Province at all levels. A separate membership is required if you are competing to earn points towards their year-end championships. Please ensure that you purchase your OE Membership first, before purchasing theirs. andsilver level, hunter/jumper circuit across the Province. THJA allows equestrians the opportunity to compete, grow and develop their horsemanship and sportsmanship skills. You can purchase your THJA Membership on their website. 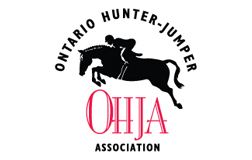 The Ontario Hunter Jumper Association (OHJA) supports equestrian athletes on what’s known as the ‘A’ circuit or Gold Level. This support covers all levels of training and competition, including year-end awards and qualification for the national championship at the Royal Agricultural Winter Fair. EC Gold competitive license: must be held by riders, owners, lessees, coaches, trainers and officials. EC Horse license – annual license required for horses. The EC recording number for the current year must be provided to all competitions that animal is entered into. EC Passport/Recording Number: all horses competing at EC gold sanctioned shows must possess an EC Horse Recording Number. If you are competing at the Jumping Page 6 of 8 Platinum Level, you must possess either an EC or FEI Passport. You should provide a photocopy of EC, OE, and OHJA licenses to all competitions with your entry form. The Ontario Eventing Association (OEA) is committed to the promotion and development of Eventing in Ontario. *Day memberships may be purchased at each competition, instead of a full OHTA and/or CE memberships. Please note, when a day membership is used, points earned at the event do not count toward your OHTA year-end points. CADORA-Ontario oversees the Silver Dressage Competition Circuit and Championships along with many events and programs throughout the year. You can purchase your CADORA Membership on their website.